Hitman was one of the top games to be released in 2016, no doubt, even if some were not so fond of the game’s episodic release. 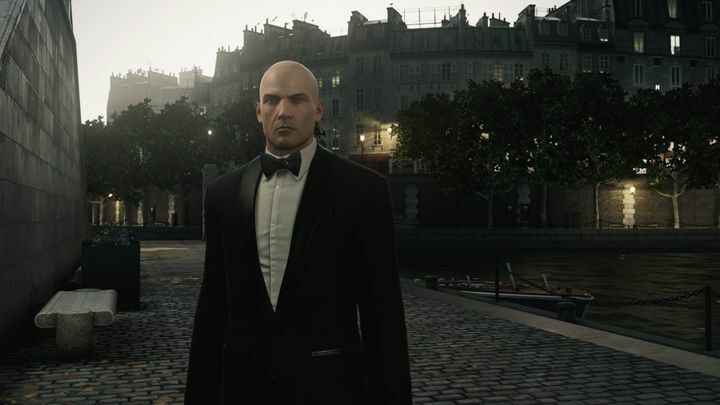 But much to developer IO Interactive’s credit, it has kept releasing new content for their 2016 game in the form of player-created contracts and additional challenge packs. And now the Danish studio has revealed that more content for Hitman is coming this month, specifically on October 13. This includes a total of 10 new contracts to play in the game, created by Hitman players and chosen by IO to be included in the game. More interestingly, there’s a new challenge pack coming. 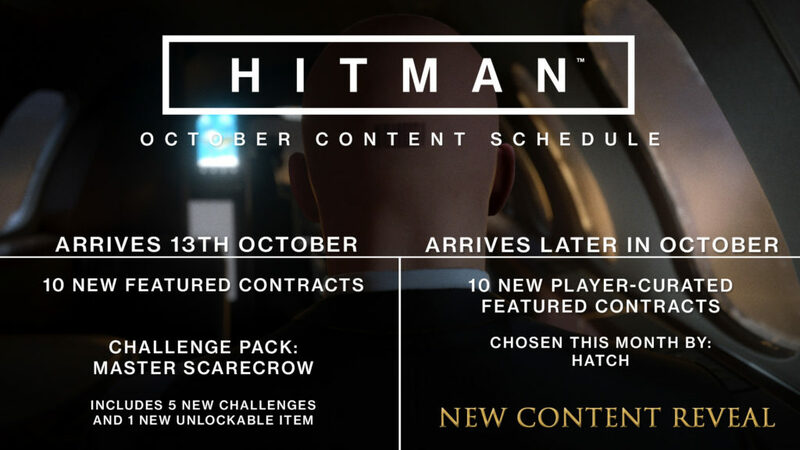 The “Master Scarecrow Challenge Pack” will offer 5 new challenges in the Colorado mission, something that will surely please the Hitman experts out there. And it’s likely many will find playing through these challenges worthwhile, as this will unlock a unique item which protagonist Agent 47 will be able to use in all of the game’s missions. Additionally, there will be more player-curated contracts coming later in October too. The man chosen to curate the list on this occasion is a UK speedrunner and ace Hitman player, whose choices will be revealed later this month and featured in the game for other Hitman players to enjoy. The most significant part of IO’s announcement, though, is that new content will be released for Hitman on October 24. However, the Danish developer was quick to point out that this is not Hitman’s eagerly-anticipated season 2, but something else altogether. So, could this be an extra, bonus episode for the game taking place in one of the game’s existing locations, or one set in a new location altogether? IO already released two bonus episodes taking place in Sapienza and one in Marrakesh, which were pretty good overall, and it would be exciting if another bonus episode was in the works for another location such as Paris. Also, the prospect of the game getting another full-fledged mission set in a new location is an exciting one, no doubt. There’s not much longer to wait for the announcement, though, so here’s hoping whatever IO’s is planning for Hitman makes the franchise’s fans happy come October 24.